Eternity LVT SG from Vinyl Trends is a truly superior underlayment. Underlayment? Who cares about what goes under the flooring? You and every other person who walks on a synthetic surface should. Why the big fuss over something you don’t see? Well, that’s just it you don’t see the toxins that can creep out of subflooring and into the air you breathe and the carpet you put next to your skin. Eternity LVT SG separates itself from others in that it contains No Volatile Organic Compounds meaning that Eternity Foam is the first and only ZeroVOC underlayment on the market. New technology providing zero harmful emissions and exceeds all standards for indoor air quality including the California protocol. V.O.C. BlOCKER also shields your loved ones from harmful sub-floor emissions by blocking their direct transmission into the room. Eternity LVT is an inert product that is Hypo-Allergenic and Mold/Mildew/Bacteria resistant with no toxic additives CFC/HCFC/PVC/BHT/Pinta Bromide/latex or antimicrobials. Eternity LVT SG has an advanced acoustic barrier for vinyl flooring and that’s great to hear. Rated among the highest in the flooring industry with acoustic ratings of IIC71/STC67 and Delta IIC21. Eternity developed this material utilizing a complex new foam technology with SSR (Superior Sound Reduction) exceeding uniform building codes. Engineered to be anti-crush, Eternity LVT SG underlayment has excellent footfall performance and to add life to the flooring you purchase from American Carpet Wholesalers of Georgia. 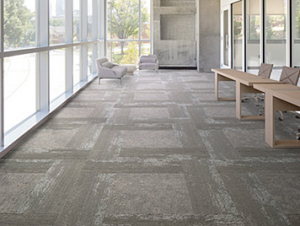 This Eternity Premium Underlayment for LVT new technology provides zero harmful emissions and exceeds all standards for indoor air quality including the California protocol. systems. The majority of vapor leakage is caused by leaky or inadequate seams, the Seal Guard System gives this product a distinct advantage over all of its competitors. You should consider Eternity LVT SG for better performance on your next flooring project. 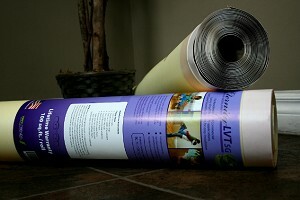 When you call American Carpet Wholesalers of Georgia to discuss your next flooring purchase, be sure to mention the Eternity LVT SG line of underlayment. You and your family’s health and well-being will benefit from it. Give the ACWG flooring experts a call today at (800) 548-2706 and get your best flooring and underlayment at the best prices! 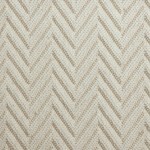 Click here for more reviews of the Luxury Vinyl Plank & Tile Products available at American Carpet Wholesalers or Click here to explore other styles of flooring. Impervio Engineered Floors Waterproof ReviewOhio college students leave Dalton with 'thankful hearts' after unexpected spring break stop!